I opened the Topper, eagerly looking for one of my favourite strips, Wild Young Dirky. How would my hero manage to escape the clutches of the evil Red Coats this week? 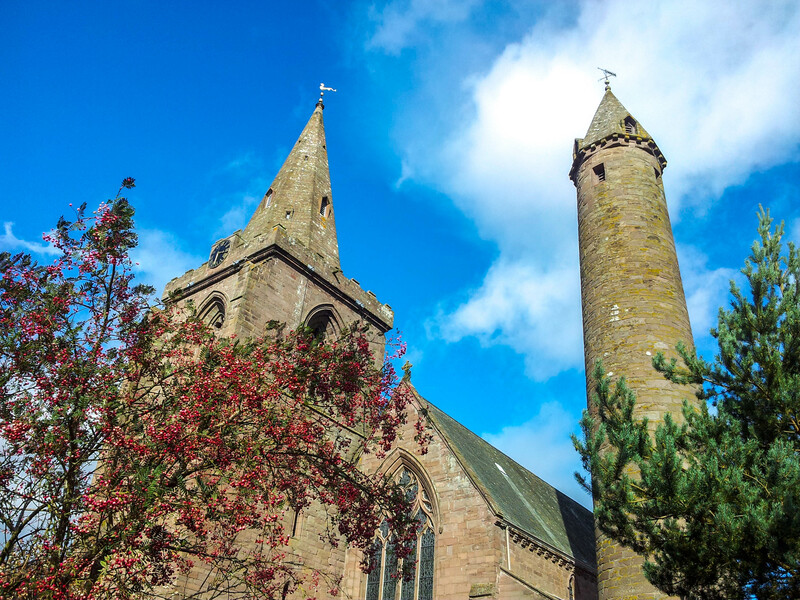 And there it was, on the horizon of the first picture in the story, behind Young Dirky fleeing the Red Coats, the familiar spire of Brechin Cathedral with its distinctive round tower. Brechin had made it into the Topper! This must have been in the mid 1950s. 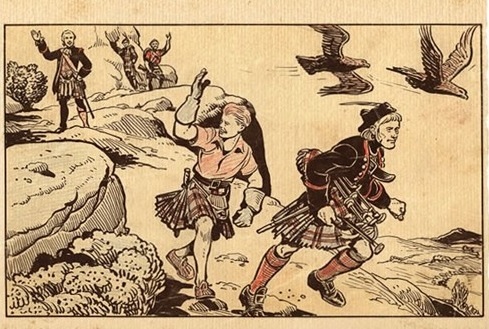 The Topper was launched in February 1953, and carried several series of Wild Young Dirky stories, drawn by Dudley D Watkins, the famous cartoonist and illustrator who created Oor Wullie, the Broons and other well loved D C Thomson comic strips. Not that I cared about authorship back then, it was having my home town appearing in the Topper that was memorable. All this came to mind yesterday as I was sorting through some old black and white negatives, looking for pictures of my relatives. I hadn’t looked at these pictures for many a year; some I had completely forgotten about; some I suspect I had never bothered to print out in those days gone by when I did my own developing and printing. I came across a picture of my Auntie Muriel and her life-long friend, Mina on their way to Brechin Cathedral. 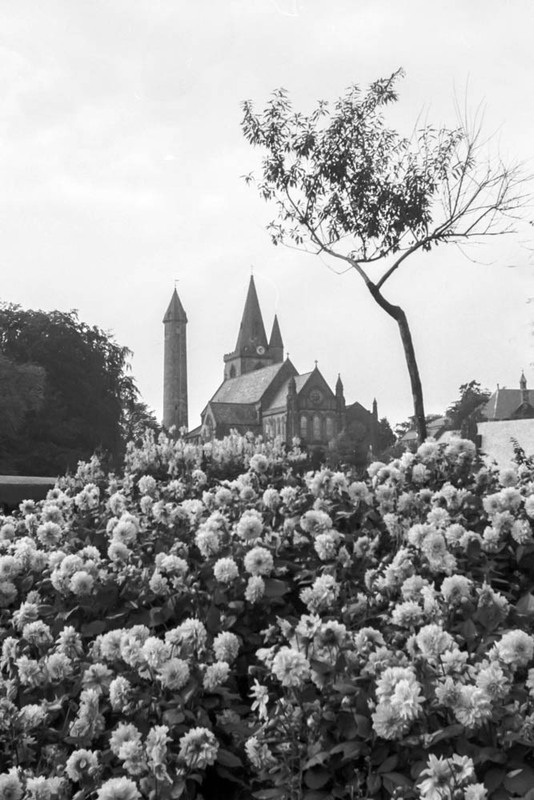 And then there were a few pictures of the Cathedral itself taken from the High Street round about 1965. I posted one of these pictures on Facebook yesterday, and had a response from a friend about me being in short trousers back in 1965. 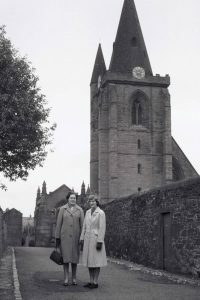 No so, I was at university in St Andrews, and indeed I had a copy of the Cathedral picture pinned to my wall in the student residence. Looking carefully at the picture I could see how the cathedral was built above the gorge of the Skinner’s Burn which separated it from the Castle grounds, the graveyard supported by a huge wall. 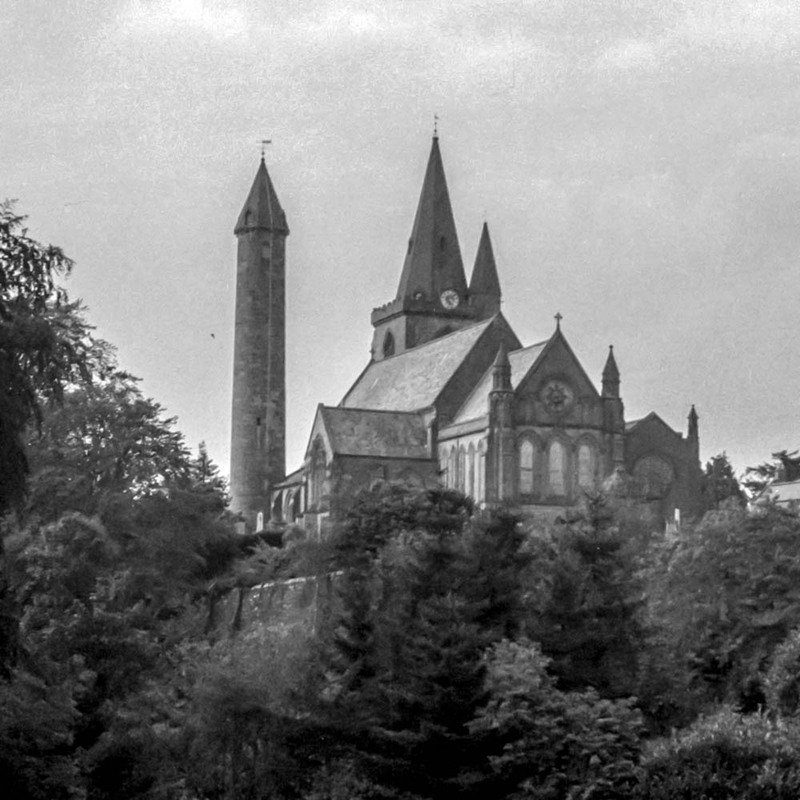 My mind was not then on Wild Young Dirky escaping after Culloden, but on a Saturday morning, down beside the Skinner’s Burn, below the Cathedral, with the 10th Angus (Brechin Cathedral) Scouts, practicing lighting fires. In those days (the late 1950s) one of the tests you had to pass to gain your Second Class Scout Badge was to light a fire outdoors, using only natural materials (no paraffin!) and using no more than two matches, quite a challenge! A couple of years ago during a brief visit to the Cathedral, I retraced my Scouting steps down to the burn. It looked so much more organised and civilised to the wild place I remembered from that Saturday morning expedition with the Scouts.